Before now, it was believed that electric scooters where mainly used and rocked by children because of the belief that these scooters were mainly designed for them. But with time, scooters are now mainly used and enjoyed by adults, with lots of adults scooters all over the place. Without wasting much time, let’s get to the meet the scooter in questions. 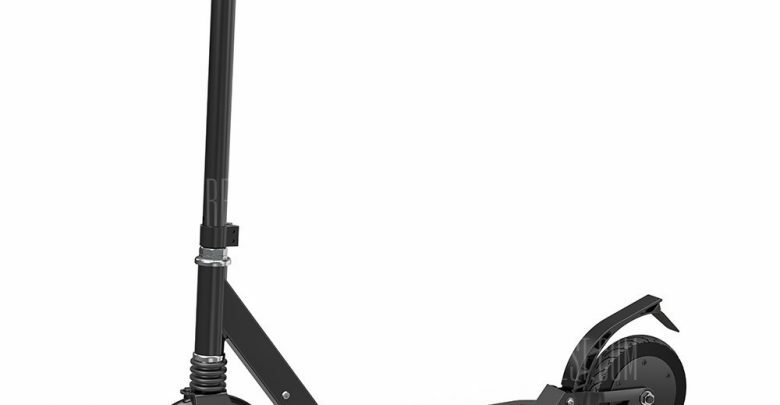 The Aluminum Alloy 8 inch Tire Folding Electric Scooter comes in a nice and eye-catching design. 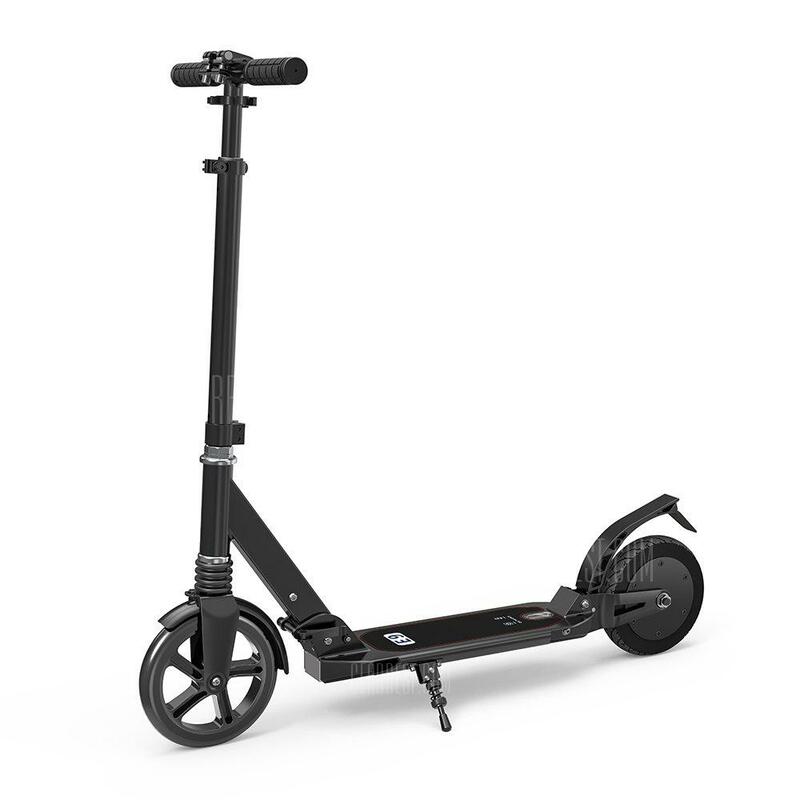 It Electric scooter is strictly fabricated from aluminum alloy, making it very strong and ready to match up with any rugged terrain without worry of break down or faults. 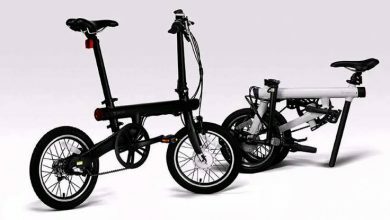 The electric scooter sports a lightweight design of just 7.9kg which is far lighter than the much talked about Xiaomi 8.5 inch M365 Folding electric scooter which weighs 12.5kg. It is worth saying that, not minding its lightweight, it comes with high strength making it easy to carry just as though you are taking your friend out. It is a good companion for a long and short distant journey. 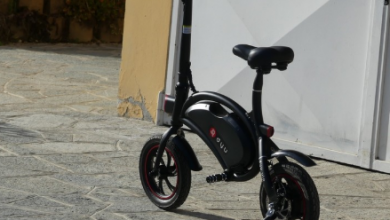 One good thing about the scooter is that it is fabricated in a classic way which ensures that no single cable is exposed. It can carry a long of 100kg so it doesn’t matter whether you have the weight of “Big show” of WWE. It comes with Quiet brushless motor, anti-slip pedal, IP54 waterproof, adjustable handlebar height, shockproof spring. Talking about the tires, it sports an 8-inch wear-resistant tire, with anti-slip texture, high road-holding ability even on the slippery ground. The Aluminum Alloy 8 inch Tire Folding Electric Scooterlike the name implies can be quickly-folded in no time with a 86 x 13.5 x 32cm folding size, space-saving and portable to carry. 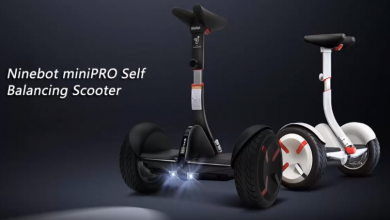 The deck of the electric scooter is made in such a way to grip shoes while on it as it is covered with a silicone layer that provides excellent grip and eliminating slipping. This silicone layer is very easy and simple to clean. This scooter comes with some features that make it stand aside considering its cheap price. This scooter can travel up to 10km (nearly 15 miles, but the exact distance depends on how fast you go) and at up to 15km/h (nearly 10.5 miles an hour). 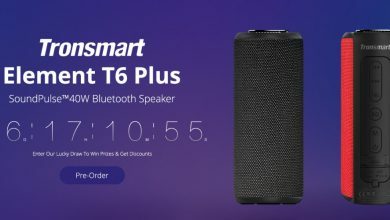 It does its traveling almost completely silent without issues or stress. 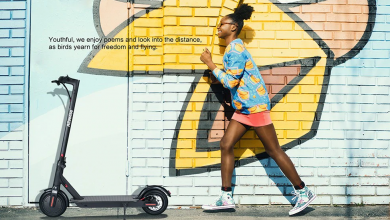 The electric scooter comes with 8-inch wheels and an electromotor with a power of 150W. Thus, it is very comfortable for a city ride. To round it up the device sports a built-in 2600mAh large capacity battery which ensure your trip is perfect.